UPDATE: Lauren is running the New Jersey Marathon tomorrow, May 2nd! 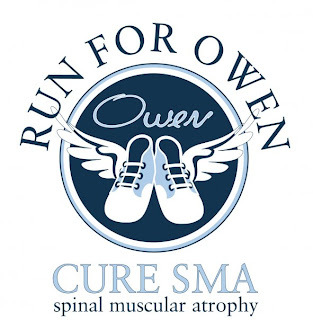 Please send her your support with a message on the Team Run For Owen website or the Fight For Owen Facebook fan page. Or you can still sponsor her race and help her reach her goal. Lauren, we are cheering you on from Cali and doing lots of fist pumps! Thank you for fighting SMA with such determination!!! SMA is one step closer to a cure because of you! Our friend Lauren is at it again. Lauren is part of the Owen Shuler clan of awesomeness. You may remember Lauren from previous posts -- two years ago she ran the Dublin marathon with Owen and Gwendolyn's name and the petition on her back and last year she inspired (and pushed) Owen's Mama, Dorothy, and Aunt Moe to join her in running the San Diego half marathon on the anniversary of baby Owen's death -- an incredibly brave and inspiring thing for all three of them to do together. 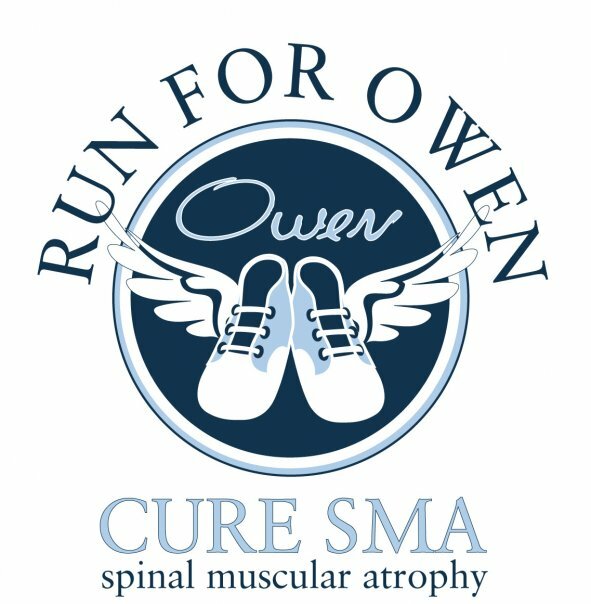 Well, Lauren is lacing her running shoes up again for the third time and for this race, the New Jersey Marathon on May 2, she is dedicating her run and all the funds raised to Gwendolyn and GSF. I know...amazing! When Lauren told me she was doing this, I immediately burst into tears. This makes my heart swell with so much encouragement. Thank you Lauren so much for this humbling honor, for believing in us, and for fighting SMA with so much passion.